The Erdvark 3-Point General Duty Oneway Plough is ideal undercutting stubble, plant material, weed control and preparation of seedbeds. This 3-point Oneway Plough made it ideal for use in confined spaces. 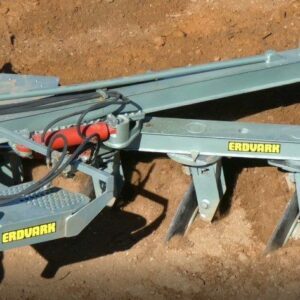 The Erdvark Disc Plough is robust and can handle lots of plant material without blocking. Excellent for deep ploughing and requires on average 30% less kW against mouldboard ploughs. The Erdvark Trailed Oneway Plough is perfect for undercutting stubble, plant material, weed control and seedbed preparation. The Oneway works excellent in rocky conditions. The new Erdvark Reversible Disc Plough 3 point implement is a new generation development that is capable of ploughing from 400mm up to 700mm. The implement can be used for general ploughing and the can be used for DEEP ploughing in good soil conditions. This implement width of cut can be changed to suit the soil conditions as well as the tractors capability. The implement is also the first, as far as we knew, that the front disc can be set exactly behind the tractor wheel to the left or right. 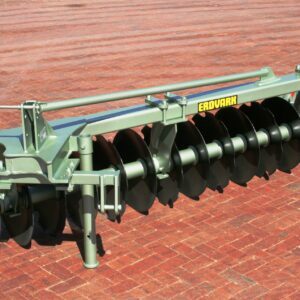 The Erdvark Reversible Disc Plough On Land HD 3 Point type model RDPH is a unique implement. 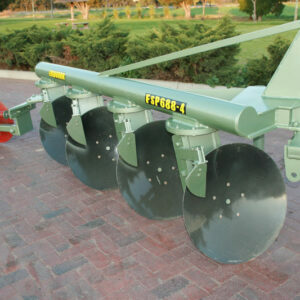 This implement is also called a Switch Disc Plough. 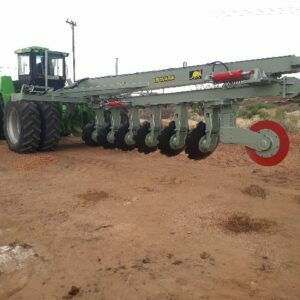 This unit is for bigger tractors running On Land to put the maximum traction down to pull the big implement with the 910mm discs. This implement is for DEEP ploughing and is capable of ploughing up to 900mm deep to bring lower levels of good soil to the top. This disc plough is also suitable for irrigation arias where you have a stubble build up that cause fungus that attack the plant root systems. In irrigation areas with sandy soil and very good drainage can cause the wash down of your carbon and nutrients. 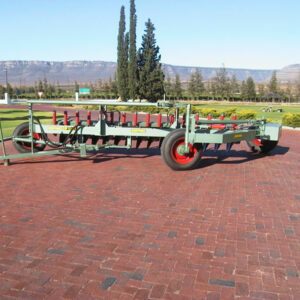 The RDPH Disc Plough can lift the carbon and nutrients and mix it with the rest of the soil. The RDPH is also suitable for breaking new land after all trees and brush are removed. Use a Root Rake to remove all unwanted rocks, stumps and roots. The RCPH will prepare very good seedbed to start planting the crop or trees of your choice with the best soil preparation you can think of.